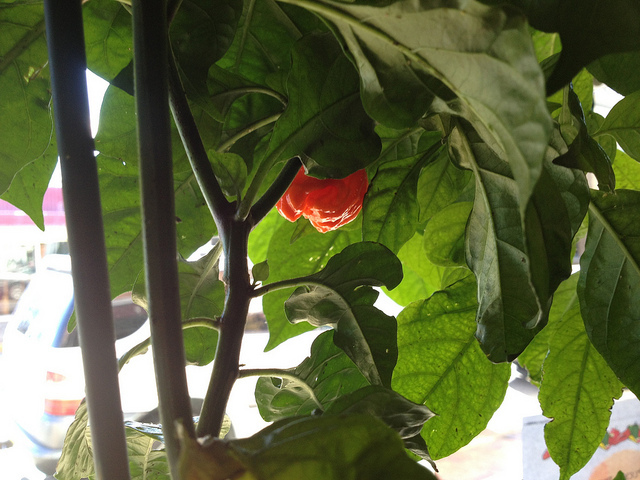 Smokin' Ed's Carolina Reaper, the world's hottest chili pepper, Fort Mill, S.C. Taste is often dismissed as the most primitive of the senses because its principal mission is simple: to discern food from everything else. Yet it’s really the most complex and subtle. Tasty: The Art and Science of What We Eat is a brief biography of flavor, tracing an arc from its first appearance at the dawn of life on earth, to the invention of cooking by early humans, to the strange concoctions of the modern food system. Reporting from kitchens, supermarkets, farms, restaurants, huge food corporations, and science labs, Pulitzer Prize-winning journalist John McQuaid shows how flavor is woven into our genes, our cravings, our personalities and behavior. Tasty offers a smorgasbord of insights into our modern food obsessions, and ponders where they’re taking us.